I always like looking for new and creative ideas for decorating for the holidays. These two are pretty easy that even I could manage to do. 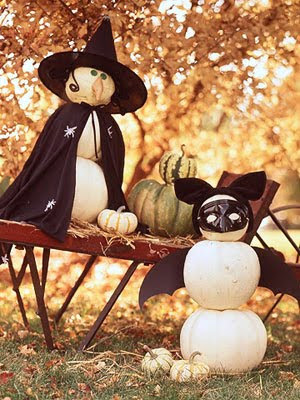 The first image a genius play on the snowman, instead make one out of pumpkins! From Martha Stewart of course! 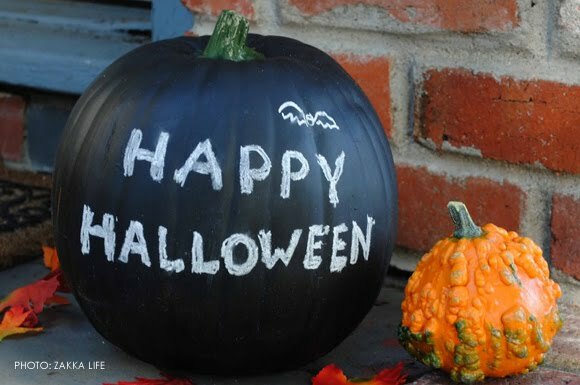 This second idea of a chalkboard pumpkin, I saw on At Home with Kim Vallee this week. 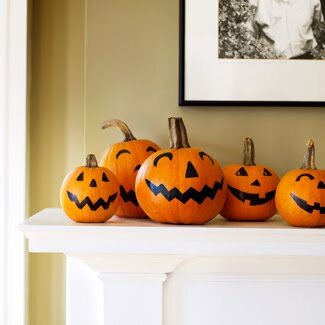 So easy and the pumpkin keeps on giving since you can write a different message every day! Idea and how-to on Zakka Life. One more painted version, a little simpler, I bet you could even do this one with a few permanent markers! Image via Good Housekeeping. Any other unexpected DIYers that you all would like to share? Those pumpkin "snow"men are killing me!